It is difficult to explain the stillness before BlizzCon each year. Tickets? Purchased. Hotel? Booked. Travel arranged? Ready for takeoff, Captain. Then we wait anxiously for the call to gather with those like us. As the day creeps closer, we feel the strings pulling us, the beacon guiding us, to converge yet again. Our individual travel is punctuated with snippets of overheard conversation that speaks to us as much as its intended target, and glimpses of attendees of BlizzCons of the past. We stick out in a crowd, we geeks, but the ratio of “normal” people to geeks decreases drastically upon arrival in Anaheim. We’re home and are surrounded by family. 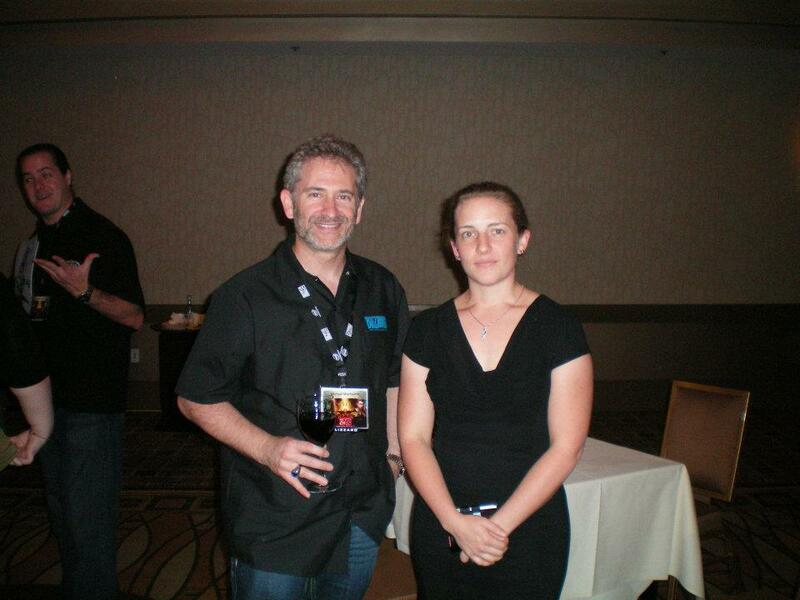 We last left our heroes at their respective departures from BlizzCon 2010. The event itself might have been considered one of the most subdued or bland BlizzCons to date, but the gathering of dozens of guild members and friends created an atmosphere that did not require expansion announcements, in-game perks, or free stuff to excite us. We made our own event and required only a cursory presence from Blizzard to entertain us. The culmination of BlizzCon 2010, and the subsequent departure from Anaheim, felt like the end it was. The post I created displayed much of the excitement I still felt after BlizzCon, but also held a hint of somber acceptance of the end of something amazing. This year was to be a new experience for me. The gathering was much smaller — only four people in our hotel room — and my motivation was different. Sure, I desired to be surrounded by geeks, gamers, and the other Blizzard Entertainment passionate, but facing graduation in less than six months had me focusing my reasons on a different path. I was here to scout; I was here to learn. With my future being my prime motivation, Matt and I purchased tickets to the BlizzCon benefit dinner. This ticket came with the usual BlizzCon ticket items — admission to the convention, goodie bag, in-game pet, etc. — and it included a ticket to a charity dinner benefiting the Children’s Hospital of Orange County. Blizzard Entertainment employees, to include developers and the executive teams, would be there. I will get to the dinner in a moment. Fangirl Dragon was prodded into wakefulness as soon as we departed the plane. I received a text message from Joey asking if the four of us wanted to come to lunch with him. Because he works at Blizzard, I had to ask him if he meant at work. After much organizing, and nearly accepting the possibility of not being able to get to him, he picked us up at our hotel and took us to the Blizzard Entertainment headquarters. I do not know if the others shared my excitement, but I was all eyes and open mouth as Joey walked us through the museum, took us to the cafeteria for a delicious lunch, escorted us through some of the building, and then took us to the ionic orc statue to take some pictures. I have no shame in saying the trip was huge for me. We went back to the hotel uplifted in a way we could not have foreseen as we were planning our weekend. Dressed in attire befitting a $500 meal that was going to charity, Matt, Adri, Jan, and I enjoyed the food, the open bar, and the atmosphere. I only had a drink — that I did not finish, by the way — so I could have something in my hand while I watched people. Unsure of how to interject myself into any conversation with the executives of the company, I waited. I was not nervous so much as calculating. I played out entire introductions and conversations in my head and discarded them as useless, wrong. Our tiny group must of looked like we were not enjoying ourselves. We were approached by a woman who asked if she could introduce us to anyone from Blizzard to make the evening more enjoyable. Okay, this is the point where nerves showed themselves, but it was not for the reason that you might think. Frank Pearce, one of the three co-founders of Blizzard Entertainment, was one of the highest ranking figures of the company. This woman, who I did not recognize from any of my research of Blizzard Entertainment during the course of my degree program at Full Sail University, had enough power to not only introduce me to Frank Pearce, but to remove him from a conversation with two other people to do so. Note to self: find out who she is and how she commands the power to direct the leaders of the company. 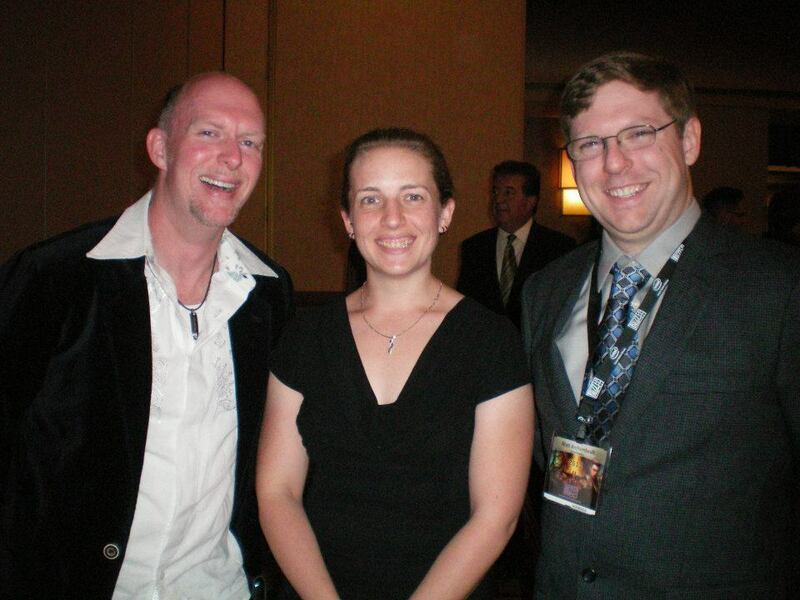 The conversation was brief, but I talked to Frank Pearce and his wife about… I do not even remember at this point. I know I exchanged more words with his wife than him, and I ended the conversation with something along the lines of, “I look forward to working for you after I graduate in March.” I walked away like the professional I looked like on the outside; I fought with a Herculean effort to keep the fangirl Dragon on the inside. Surprisingly, his smile was not faked or forced. He was a jovial character. … right into Chris Metzen. Now, I have been called an opportunist for all of my life. I have a track record of taking advantage of the situation in which I find myself and benefiting from it. I am not rich, or famous, because of my ability to change my path on a dime, but my life has been extraordinary because of it. Done. He was polite as he shook my hand, made simple conversation, and took a picture with us, but then he noticed the signed print — a perk of purchasing the benefit dinner tickets — of Thrall in my hand. 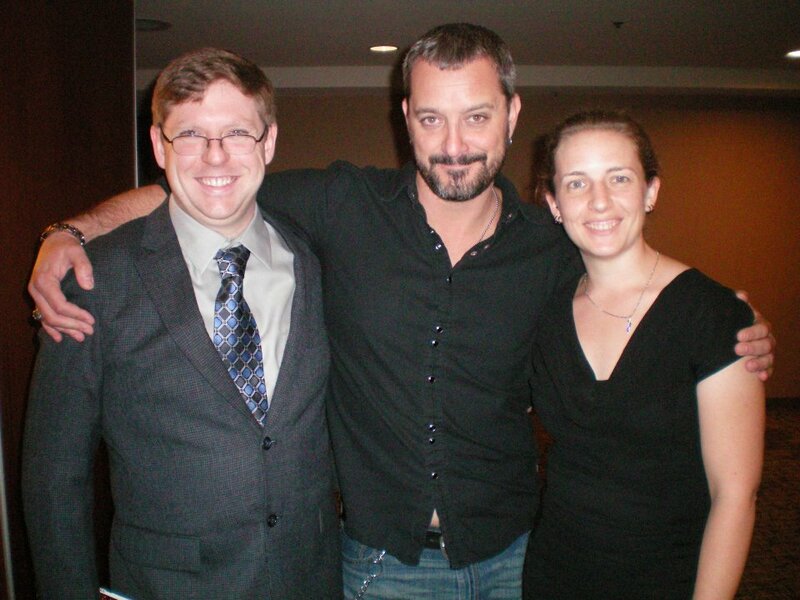 Chris Metzen, for those who do not know, is the voice of Thrall in World of Warcraft. He voiced his love for the picture and that launched us into a discussion on the story of Thrall and Aggra, the future of Varian and Anduin Wrynn, and the lore to which we would be introduced in the future. There were no secrets revealed, but I could relate to the visible battle he fought to keep those secrets as I had recently fought a battle with fangirl Dragon — a battle I considered lost at this point. His excitement for the story was contagious. Short encounter, but it was amazing to meet him. We talked to him for quite a while, and his childlike glee at the upcoming stories was contagious. How can the rest of the convention compare to the success I felt after that dinner? I looked great, had met the co-founders and voice of Thrall — Vice President of Creative Development, if that matters — and I felt like I had run a marathon with the effort of containing the fangirl Dragon, who would have likely embarrassed me with, “OMG YOU’RE MY FAVORITE!” at any moment. As I find myself with a post over 1200 words, I will stop at this point. I feel like there was so much more that first day, before the convention even began, but lack the capacity to remember the feelings I was experiencing at this time. Next time, Part Two and the convention itself!